Come along for a very enjoyable day with Jan Preston as she guides you in this relaxed one-day class creating a kaleidoscope of colour in handstitched windows. 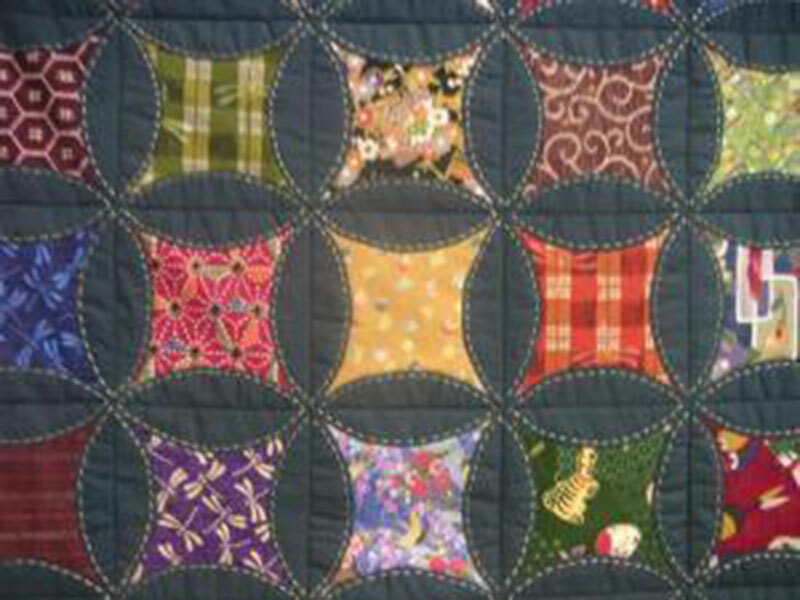 Jan will teach the technique to handpiece this patchwork quilt using traditional Japanese sashiko stitching. With no machine required this project can be worked anywhere & your quilt can “grow” to whatever size you choose. An optional materials kit is available for $80.